PHILADELPHIA, Pa., Sept. 24, 2018 — Boeing [NYSE: BA] will provide its MH-139 helicopter and related support to the U.S. Air Force to replace the more than 40-year-old UH-1N “Huey” helicopters used to protect America’s intercontinental ballistic missile bases. The program awarded today is valued at $2.4 billion for up to 84 helicopters, training devices and associated support equipment. 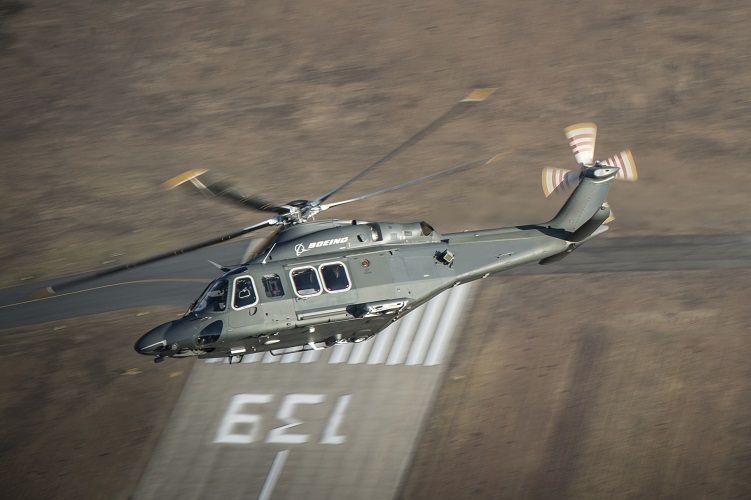 The MH-139 derives from the Leonardo AW139, which is used by more than 270 governments, militaries and companies worldwide. Leonardo will assemble the helicopters at its northeast Philadelphia plant, with Boeing integrating military-specific components at its facility south of that city. The contract also includes operations, maintenance, training systems and support equipment for the MH-139 aircraft. For more information on Defense, Space & Security and Global Services, visit www.boeing.com. Follow us on Twitter: @BoeingDefense and @BoeingSpace.